The snow is melting and the birds are out. Finally seeing some warmer temperatures. I’m so happy. It comes at a small cost though. My allergies are kicking me already. All the pollen in the air is making me sneeze. Just an opportunity to work on some projects. 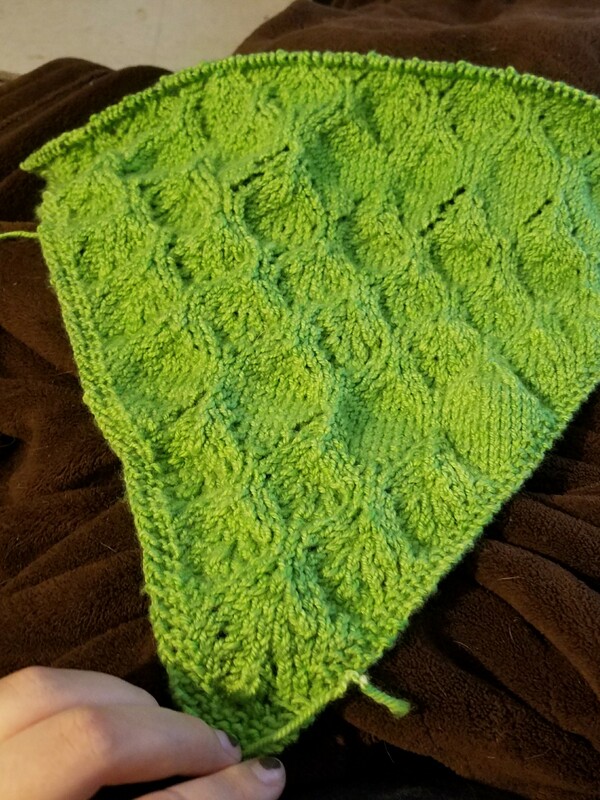 My yarn box shawl from last month is still on the needles but it is coming along nicely. I’m almost finished with the second pattern repeat. I’m very excited about how it’s turning out. Now I just have to figure out if I’m going to keep it or if I’m going to sell it to someone. I don’t have anything that goes with it. I’m also going to be continuing my temperature blanket today. I’ve fallen quite a bit behind. And my last project of the day has nothing to do with the fiber arts. I do some mechanic work. 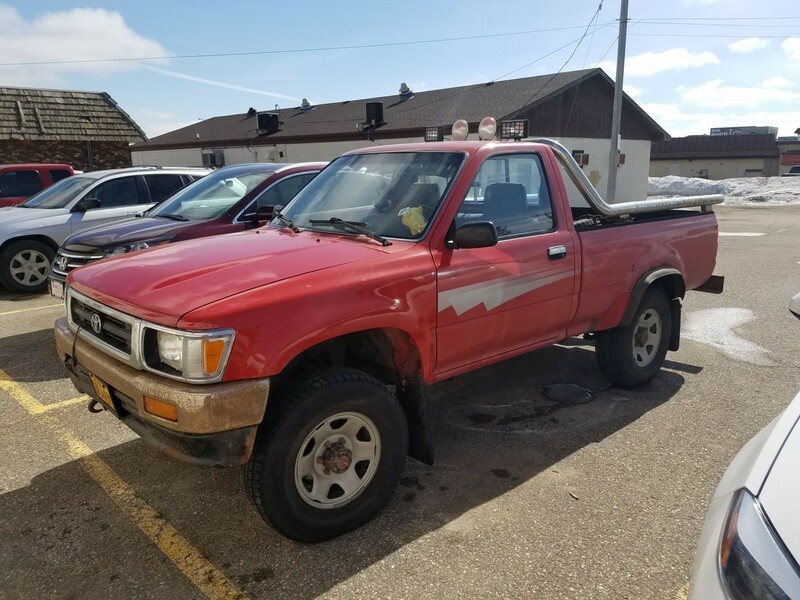 And I’ve been trying to get my 92 Toyota pickup running. I finally got her going, but she needs more work. I need to get a new exhaust manifold gasket put on.and my project for today is to get the part. Then tomorrow I’ll run out to my friends place and have him give me an extra set of hands. She’s a little rusty but she’s my baby. Knitting and Crocheting for Health. I ran across this article while I was on Facebook and thought you would like it. It’s just a little article about how the fiber arts are good for your health. I know that in my last post I said that I had a kink in my neck that was causing pain and that I couldn’t do any knitting because of it. Well. It got worse and worse. I tried to suffer through as best I could and go to work. It was one of the more painful things I’ve had to deal with and still go to work. With that being said I didn’t get a lot of knitting or crocheting done in the last week. I feel like I’ve gotten way behind. 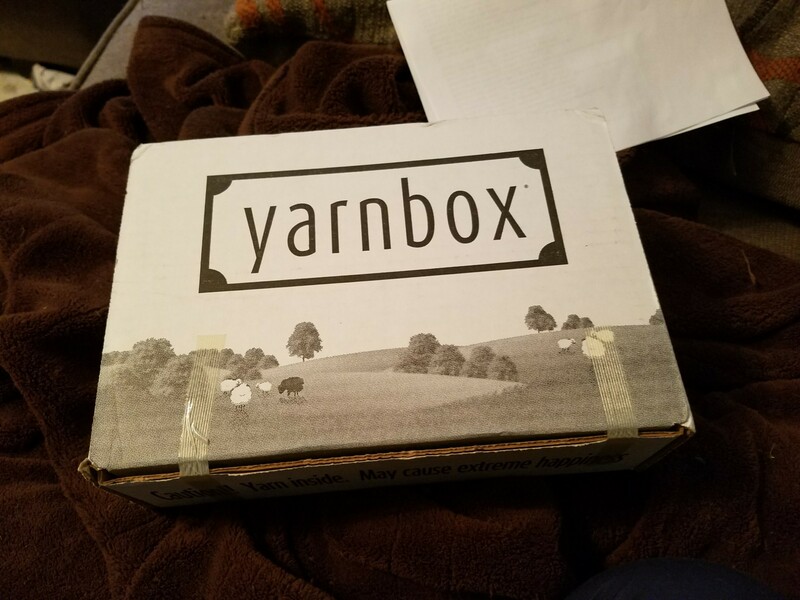 I got my yarnbox in on Monday. I was so excited. I can’t wait to start working on it. However, I still haven’t gotten the project from last month completed yet. Spoiler: I’ll be using the knitting pattern for this month as well. The colors are absolutely beautiful. 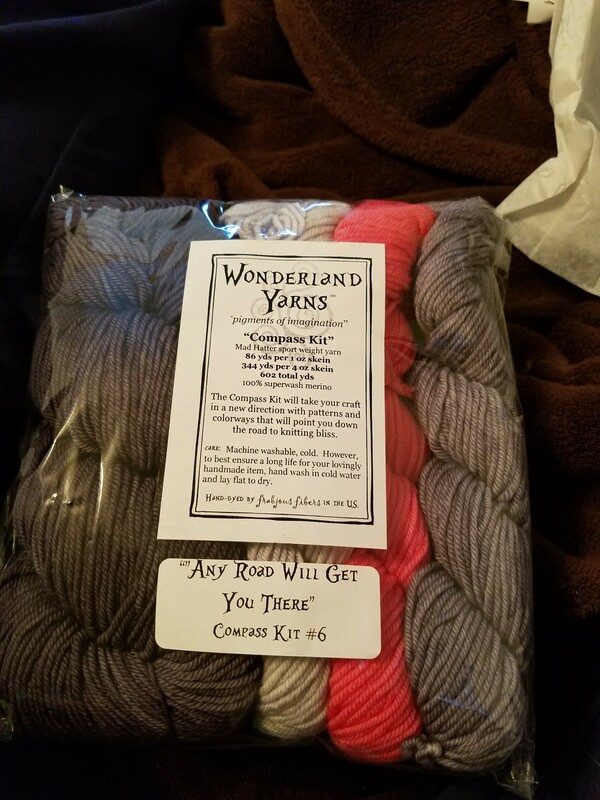 I also got in a box of yarn that I purchased about 2 weeks ago from yarnsupply.com. I bought some Permier Sweet Rolls, which are similar to Caron Cakes and Bernat Pop. Sweet Rolls are 100% acrylic and they have a lot of beautiful colors. I got my truck running again with the help of a friend who managed to see everything I overlooked. So I’ve been driving my truck around for the last week. It feels nice to have her running again. She was one of the last big things my mom and I did together and her name is still on my registration. I wouldn’t give up this truck for anything. I’m due to go back out on the road next week. Good news is that I’ll only be overnight for Monday night and I’ll be back Tuesday night. 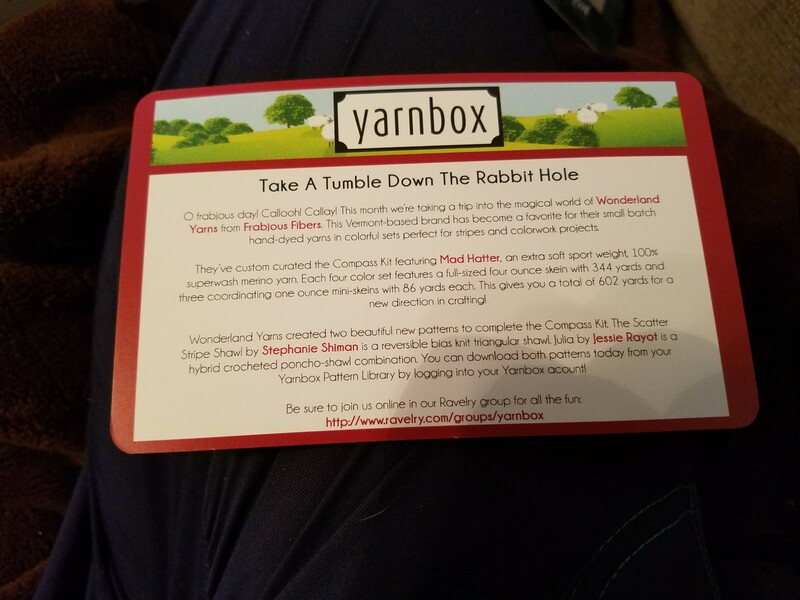 I’ll bring my yarnbox kit from last month and I’ll try to get some headway on it now that I’m feeling better! Today is a slow day for me. A very lazy day with not much to do. 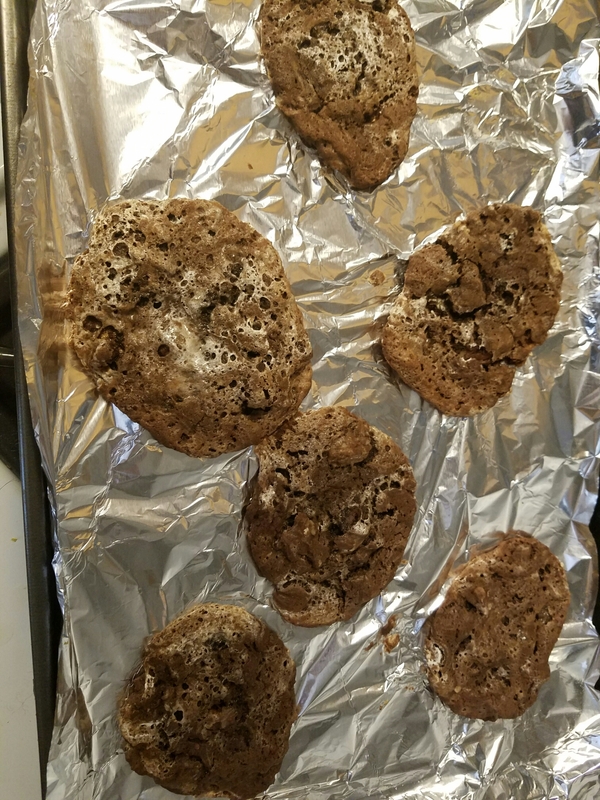 So I decided to crack open a cookbook an make some cookies. So I grab the book that is the guide book to my spirit animal. 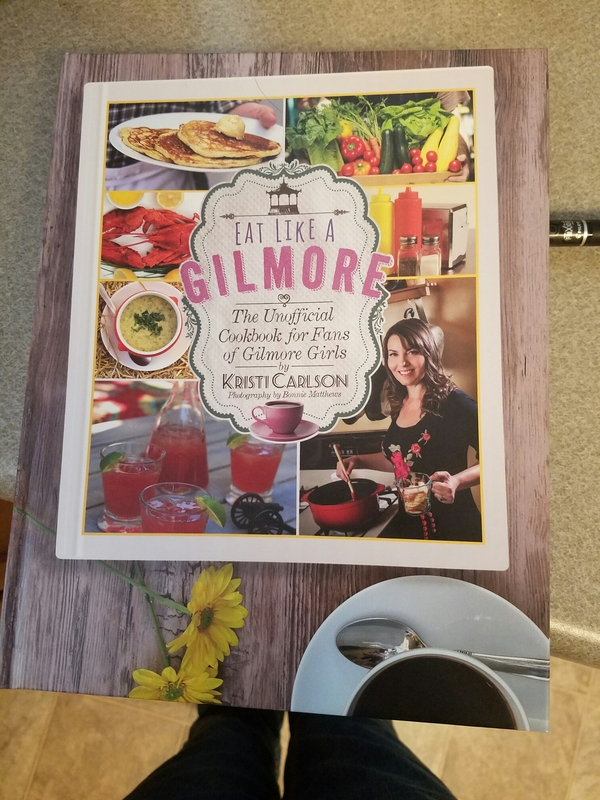 “Eat Like a Gilmore” by Kristi Carlson. 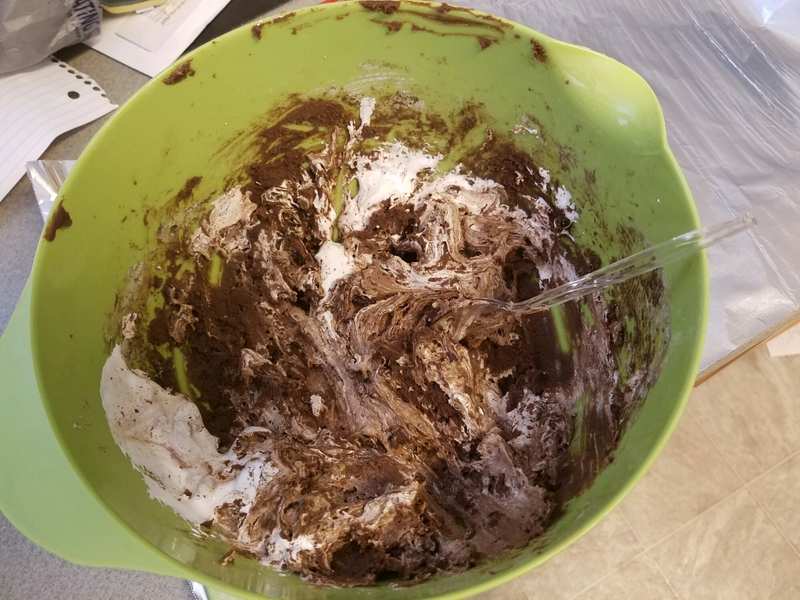 I decided to make the rocky road cookies. They looked good in the show and they sounded good today so why not. 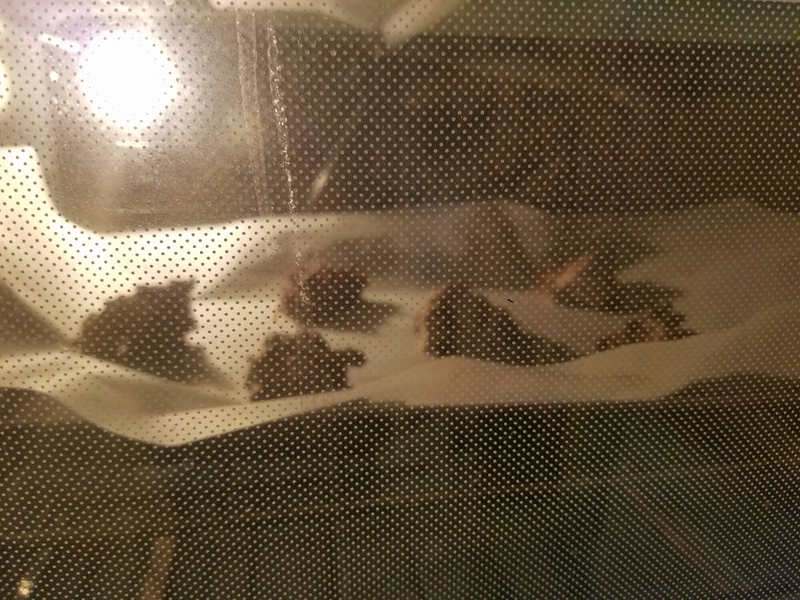 The recipe calls for the cookie sheets to be lined with parchment paper. Well, I didn’t have that at first, and I barely had aluminum foil. Absolutely needed parchment paper… The first batch was a little rockier than I had anticipated. They stuck to the foil. So, I then sent my husband to the store to get parchment paper. They started to look better after that. Now that I’m making cookies from the book it’s time to watch some Gilmore Girls an knit. I have to get caught up on my temperature blanket and finish my shawl from my yarn box. Dinner tonight is one of my favorite foods. It’s something my mom used to make especially when it was cold out. Tomato soup and dumplings. A great way to end a great day! My job keeps me pretty busy. We’re on the road 5 days a week and sometimes that means spending nights in hotels. Last night was one of those nights. We made a quick run to Walmart after work and much to my dismay they didn’t have any Bernat Pops in this walmart. Sad face. 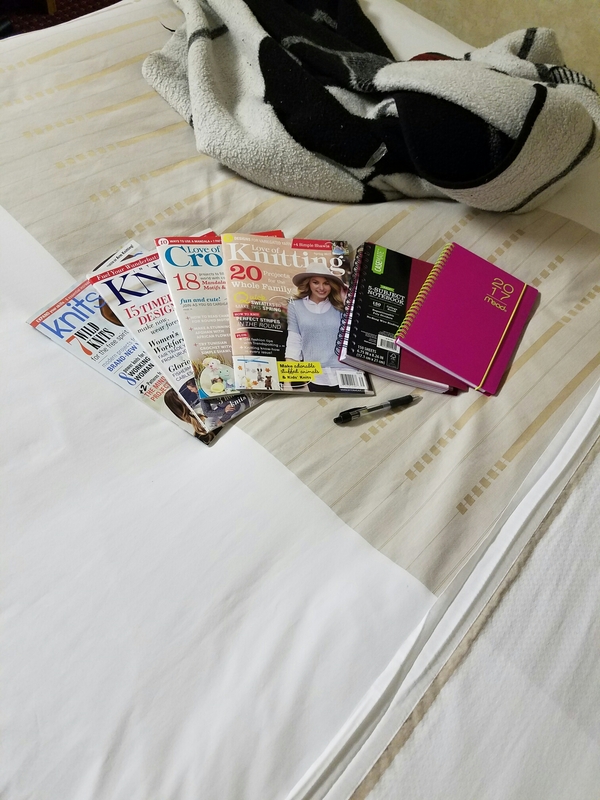 However, I did get some magazines and so I spent the rest of my night looking at new patterns and tracking the temperatures for the past month for the temperature blanket that I should get up to date on. I didn’t want to go to sleep because I wanted to find new patterns and things to do with the new yarn I got. I still need to work on getting the spare bedroom done up for my craft room. All on all its going to be a busy weekend. Well. It’s a super windy day in central North Dakota. In some parts of the state the roads are closed due to high winds and blowing snow. Lucky for me I was able to get some grocery shopping done so hubby and I have some food. So what is a girl to do? I’m working on some of my unfinished projects. I put down my basket weave blanket a while ago and haven’t really picked it back up, until now. I’m trying to get the 30 or so skeins of yarn for this blanket gone so I can buy more different yarn. Speaking of. 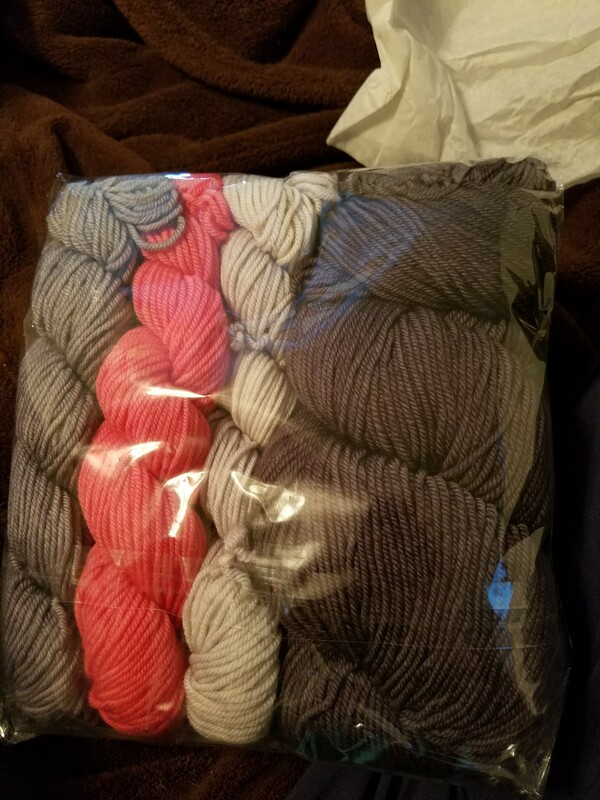 Anyone who knows me knows that I am obsessed with finding new yarn and a while ago Bernat brand yarn came out with their own cake similar to Caron Cakes. It’s called the Bernat Pop. My friend just texted me to tell me that they are officially at the Walmart in town. I’M SO EXCITED!!! I’m not going to drive 10 miles in this ugly weather to get the yarn but I might if I have the ability tomorrow. I have enough money to drop on this. I can’t wait to add Bernat Pop to my stash. I also managed to talk my husband into letting me use one of the spare bedrooms into a kind of office/ arts & crafts room. 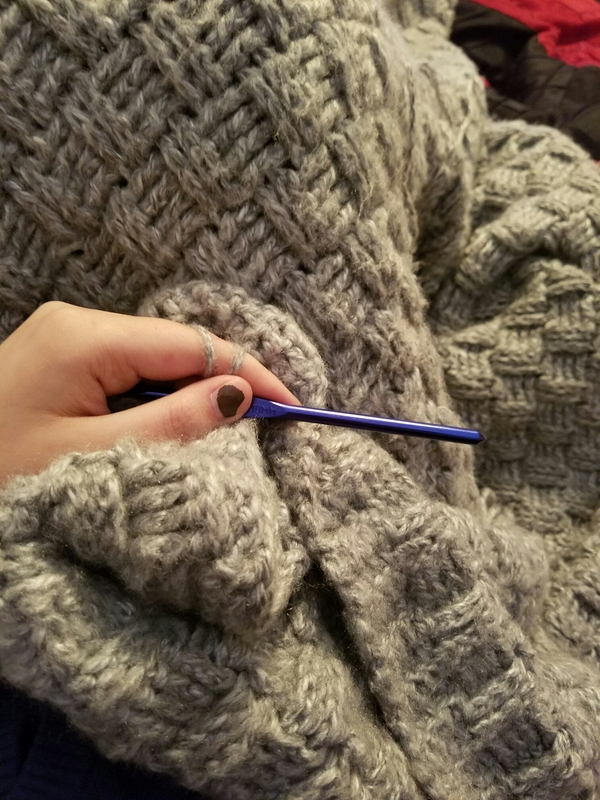 I’ll be able to have a space dedicated to knitting and crochet, this blog, and anything else I happen to want to use it for. I’ll get a desk and a ton of storage space for my projects. And a printer to print off any patterns I find. I can’t wait to get that up and running. Good things are in my future. 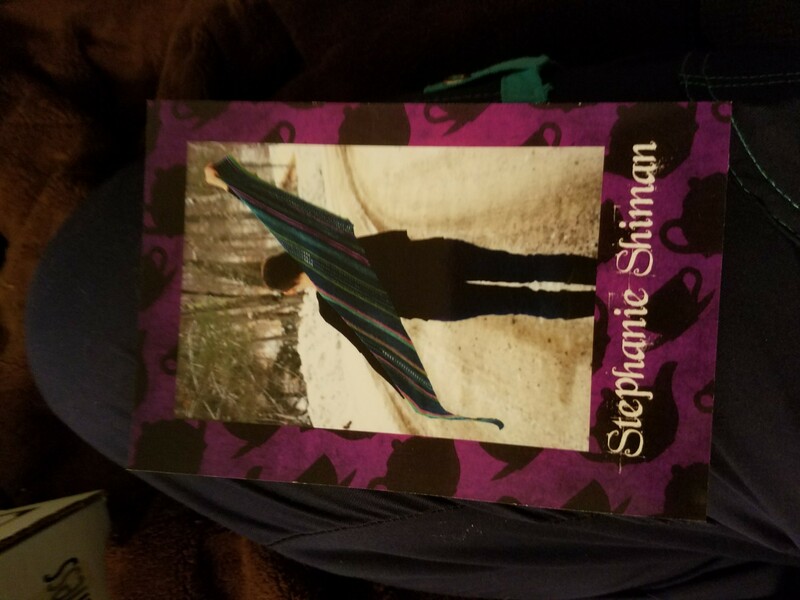 When I started knitting I was very young and didn’t know anything and it was very frustrating, and to top it off I didn’t have all the resources we do now like Ravelry and Youtube. We’re so lucky to have these now! There are a few blogs that go over what they wish they knew when they started knitting and crocheting. So I wanted to make my own list. I wish I learned how to read patterns and shorthand sooner. There were so many projects I wish I could have made but I never learned to read patterns until just a couple years ago. I felt like a total moron when I finally figured it out. Frogging yarn is NOT failure! Frogging (ripping out) your projects is not failure. Sometimes it’s better to frog and start over than to continue on. It is disappointing, especially if you put a lot of time and energy into the project. I’ve cried over pulling my project apart before. I know I will again. But, I promise, it is NOT ever a failure. Sometimes it is more stress than relief. This kinda goes along with number 2. Learning a new stitch or trying to complete a project by a certain date is stressful. Trying to explain to your family, friends, and coworkers why this is so much fun after you spent the last 30 minutes swearing at your project is stressful. All the stress is worth it. When you finally get the stitch down or finish the project is becomes worth all of the stress. Pintrest is a dangerous place. This is more humorous than serious. I, personally, spend way too much time on this site. This is the reason why I have so many WIPs. It is one of the best sites to find new stitches or new project ideas. However, if you’re anything like me, you’ll end up with way too much on your plate at one time. With that being said though, it’s one of my favorite sites. Youtube is a great resource. I have learned more new stitches from Youtube than any other site. There are tons and tons of tutorials to help with your crochet and knitting projects. Also, tons of CAL and KAL (crochet along and knit along respectively). You’ll find tons of places from Ravelry to The Crochet Crowd to talk to fellow fiber artists. We love to talk and help as much as we can. There are free patterns and you might find a get together near you where you’d be able to go and actually meet people who have the same interests you do. Anyone have anything they would like to add? Please comment what you wish you knew when you were learning to knit or crochet.